Sam Reich, Director of Original Content over at College Humor, was more than enthused to share their devotion with us through this exclusive behind-the-scenes interview of Street Fighter: The Later Years! SFD: Hi Sam! Thank you for sharing some of your time for this exciting interview! SAM: The excitement is all mine! SFD: Let us begin by asking, how did the original idea of Street Fighter: The Later Years begin? SAM: Originally the idea was to create a temp office for washed-up superheroes, a place where people like Gambit and Batgirl would go for work. Someone mentioned the idea was a bit like "The Incredibles," so started thinking about Street Fighter, and what sort of jobs the characters would have later in life. 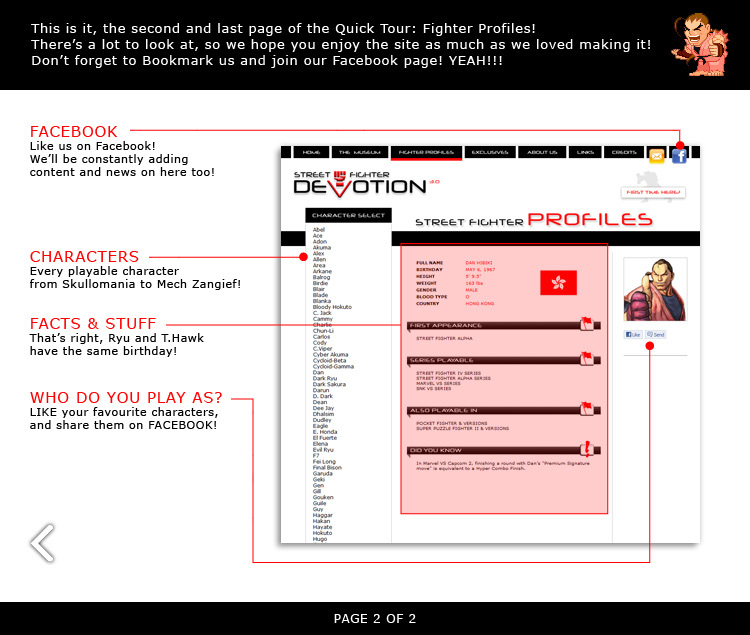 I made a game out of it: Dhalsim would be a cab driver, Blanka would be an electrician, etc. The story escalated from there. SFD: Can you tell us a bit about the production process? SAM: We've been producing the Street Fighter series since the beginning of CHTV. 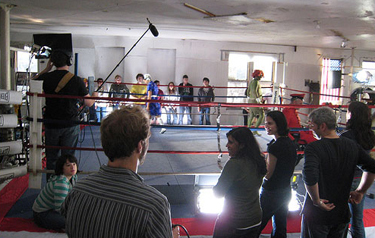 When we started, it was just me on the production staff, writing, producing, and directing. Dan Gurewitch, my brilliant and hilarious development partner, wrote the last seven episodes. We developed these episodes ahead of production in order to have a sense of the series as a whole. Producing them has been difficult because we have to get twelve or so actors available on one day. SFD: Where abouts do you film the show? SAM: We shoot on location in New York City. A lot of Street Fighter happens to be in Williamsburg, Brooklyn. Zangief gets fired from Barcade, which is a popular retro arcade/bar in Williamsburg. Most of the apartments (Bison's, Chun Li's, etc.) are in Queens. We did a lot in Central Park in episode five. And the Capcom offices are our very own CollegeHumor offices. 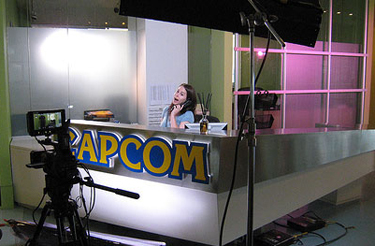 Capcom invited us to shoot in their offices, but in the end we thought ours were better. SFD: *laughs* It sure looked good! So how many people do you have working on Street Fighter: The Later Years? SAM: The CHTV staff consists of myself and six other people. Our on-site crews consist of 4-5 other people. Our post team consists of two special effects artists and a composer. And then there's the cast. So it's probably a twenty-five person project all together. SFD: What are some of the challenges when making the series? SAM: The major challenge was in the writing. Oftentimes with these viral one-offs, you aren't prepared to turn something into a series. When it became clear that the first video was popular, we had to work hard to create a story that would be relevant and funny. Some of the episodes are stronger than others, but I think by the time we're finished people will be really impressed with what we've done. SFD: How do you audition your actors? SAM: We post online and in trade papers such as Back Stage and have the auditions here in the office. Because the Street Fighter characters are so physically specific, it's easy to rule people out based on their headshots. Zangief (Mike Fass) originally auditioned for the role of Guile. Guile (Nick Raio) auditioned six months before we cast him as Guile, and in the meanwhile did shorts for us such as Girls's Costume Warehouse and Winter Wonderland. I knew Dhalsim (Sean Krishnan) from an acting class we took together years ago. And Ken (Lev Gorn) has been in a ton of CollegeHumor stuff: Carmen Sandiego, Osama Teen Hunger Force, etc. Chun Li was a difficult casting decision. Ana Parsons isn't Chinese, she's Filipino. But in the end we decided that her talent so outshined the other candidates that we should go with her. SFD: Do any of your actors behave in-character even off the camera? SAM: Alex Finch (Blanka) is pretty much Blanka minus the accent in real life. Otherwise the actors aren't very similar to their characters. SFD: What were some elements you would have changed or removed/added in previous episodes? SAM: I think the mistake we made with episode four was assuming that people would be happy with a three-minute episode after a six month wait. We should have given them two episodes in one, the way that series come back with two-hour specials. Instead we ended up doing that with episode five, which was originally two episodes, and got a much better response. Other than that I think we've played our cards pretty well. It's difficult for me to watch the first three episodes, which aren't in HD or very well lit because of the limited resources we had at the time. SFD: How many episodes do you have planned in total? Do you have an ETA? SAM: Nine episodes total, and an outtakes reel, which I'm really excited about. We're releasing episode seven in a few weeks, so the series will last until February. SFD: Do you have plans to include characters from the other Street Fighter games? Dan, for example? SAM: We decided from the beginning to limit ourselves to the characters in Street Fighter II on Super Nintendo, and also to the education of someone who was a fan of that game. We didn't want to include all sorts of other details from the Street Fighter franchise for fear of getting lost in obscurity. Our series is for mainstream Street Fighter fans and comedy fans. SFD: Have you considered obtaining a license to sell a DVD of The Later Years? SAM: I think we'll be a lot clearer about that once the series is over. Capcom called me after the second episode to say they loved what we were doing, so I can't imagine they'd be totally opposed to the idea. We got lucky there. The tricky thing about producing for the internet is working with points of reference that people are familiar with without creating copyright issues. We've made that a plot point in recent episodes, with Capcom wanting to shut down the tournament due to copyright infringement. This couldn't be less true to life. Capcom has been nothing but supportive. SFD: Is there anything you can share with us about the up-coming episodes? SAM: The last episode revealed a major plot twist that most Street Fighter fans seemed to have understood. The next episode will make it clear to by flashing back to when the corruption began. A little bit satire, a little bit ABC's "Lost." SFD: Any last words for the fans? SAM: Watch all of CHTV. 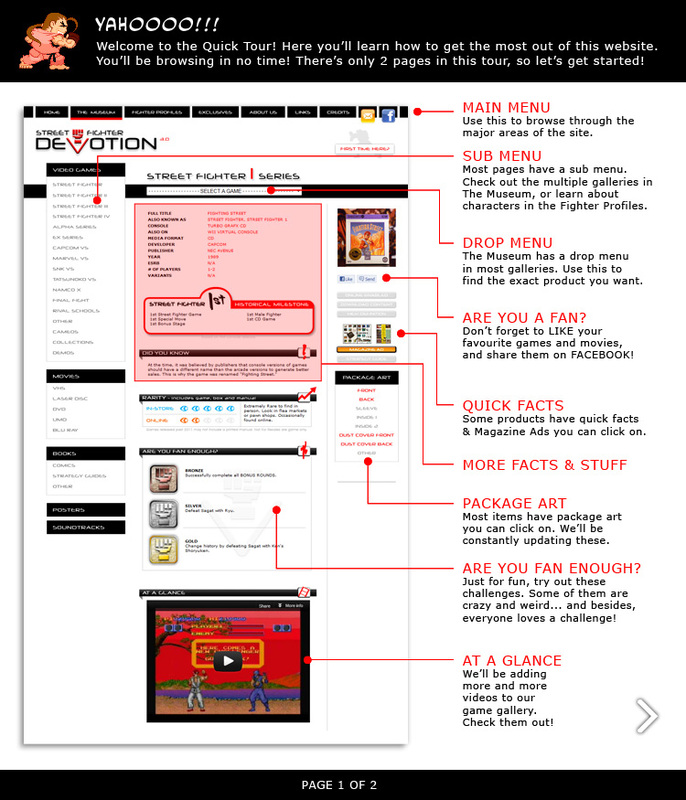 We're trying hard to reform internet entertainment as a medium, and there's a lot of great stuff there for video game fans and non video game fans alike. SFD: Sam, thank you again for your time. Good luck with your future projects! We look forward to the rest of the episodes!